"Dr. Robert Bishop" by Robert H. Bishop, Ph.D., P.E. Dr. Robert H. Bishop is the Dean of Engineering at the University of South Florida and is a full professor in the Department of Electrical Engineering. 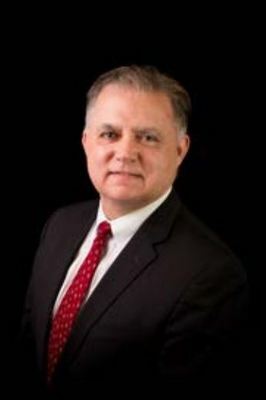 He also held the endowed position of Opus Dean of Engineering at Marquette University and was on the faculty of Electrical & Computer Engineering. Previously he was on the faculty at The University of Texas at Austin for 20 years where he served as the Chairman of the Department of Aerospace Engineering and Engineering Mechanics and held the Joe J. King Professorship and was a Distinguished Teaching Professor. Prior to UT, he was a member of the technical staff at the Charles Stark Draper Laboratory. Dr. Bishop is a specialist in the area of systems theory, guidance and control of spacecraft, and navigation and estimation theory with applications across a broad range of aerospace challenges. His research sponsors have included the NASA Jet Propulsion Laboratory, NASA Goddard Space Flight Center, NASA Johnson Space Center, Oerlikon-Contraves of Switzerland, NEC Corporation of Japan, National Instruments, Lockheed Martin, and the Charles Stark Draper Laboratory. His current research interests are in the area of advanced navigation algorithm development with fast-to-flight characteristics, integrated navigation and guidance for planetary precision landing, small satellites and unmanned aerial vehicles, and cybersecurity. Dr. Bishop also worked with the NASA Goddard Space Flight Center developing navigation strategies applicable to spacecraft formation constellations. He initiated several picosatellite projects at UT focusing on autonomous rendezvous and quick access to space and recently delivered his first picosatellite to NASA for launch aboard the Space Shuttle in 2009. Earlier in his career, he supported the NASA Space Shuttle program’s first rendezvous STS-11 and the follow-on STS-13 by providing high-fidelity simulation analyses of the navigation system for verification and astronaut training in the Shuttle Avionics Integration Laboratory at Johnson Space Center and the Rockwell Flight Software Laboratory facility. He performed Shuttle launch window analysis accounting for all abort scenarios during a rendezvous mission. He was a Draper on-site resident at NASA Johnson Space Center supporting the Space Station development project in the early Skunk Works phase where he worked on the development team for the Station momentum management and attitude control system and created the high–fidelity simulation, known as ACES, of the near-Earth environment for Space Station control system analysis. He was selected twice as a Faculty Fellow at the NASA Jet Propulsion Laboratory where he conducted basic research in observability of interplanetary spacecraft utilizing ground-based radiometric measurements. The Boeing Company also selected him as a Welliver Faculty Fellow.